1995-W Silver Eagle Proof – The Holy Grail of Silver Eagles! In the 30-plus years of the Silver Eagle series, one coin stands out as the most prized among collectors: the 1995-W Silver Eagle Proof. Struck with frosted devices and mirror-like fields, its visage is incredibly attractive to the eye – but that’s not the main reason for its coveted status. That honor belongs to its rarity. 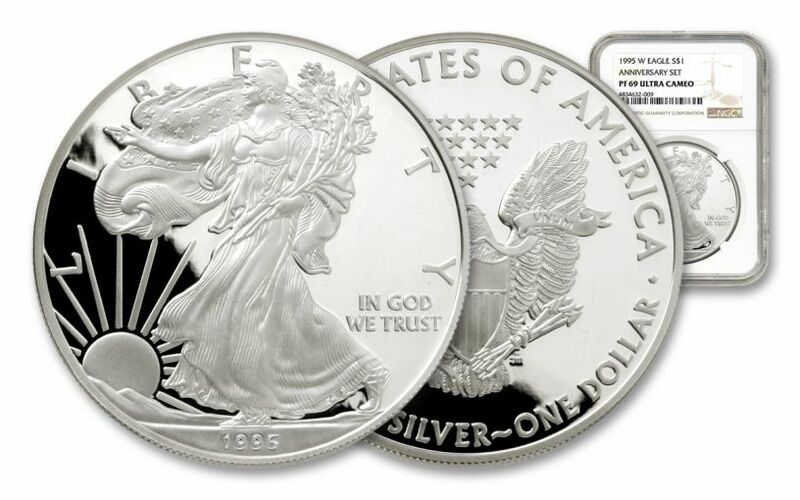 What’s interesting to note about the 1995-W Silver Eagle is that it was intended simply as a bonus coin in the 10th Anniversary American Eagle Proof Set with the $5, $10, $25 and $50 Gold Proof Eagles. All Customers had to do to receive the coin was indicate on the order form that they wanted to receive it. Today, nearly a quarter of a century later, that “free” coin has surpassed the combined value of all the gold coins in the set! 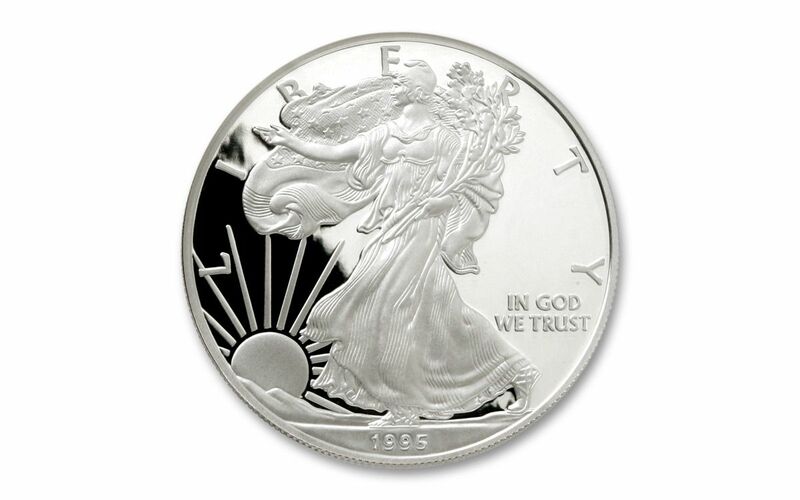 Simply put, the 1995-W Silver Eagle Proof is the key release of the entire series. In fact, the Professional Coin Grading Service (PCGS) currently lists the 1995-W Silver Eagle as #13 on its list of 100 Greatest U.S. Modern Coins due to its low mintage and for being the first Silver Eagle to bear the “W” mintmark. Now you have the chance to secure one certified by the Numismatic Guaranty Corporation (NGC) as being in near-perfect Proof-69 Ultra Cameo (PF69UC) condition – a coin that appears flawless to the naked eye. Rival collectors will be scrambling to secure this coin, so be sure you get to it first! 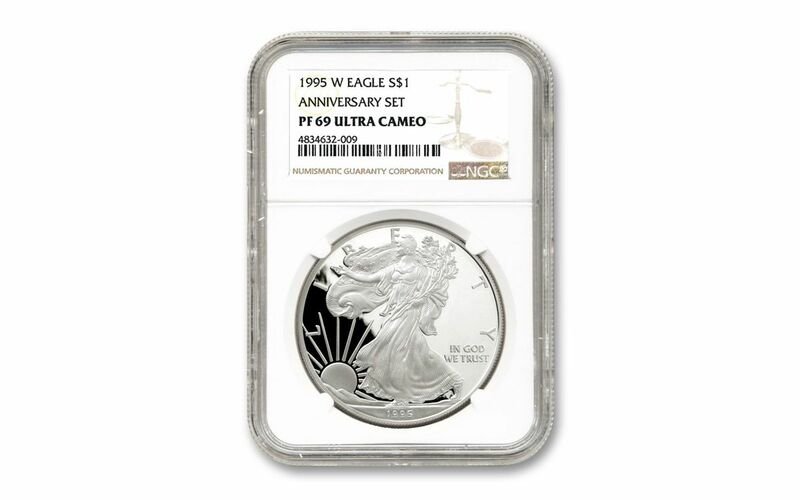 KEY RELEASE IN SILVER EAGLE SERIES – The 1995-W Silver Eagle was available only in the 10th Anniversary American Eagle Proof Set and is 13 times scarcer than the standard Silver Eagles released that year. FIRST WEST POINT MINT MARK SILVER EAGLE – the 1995-W Silver Eagle is the first in the series to bear the “W” Mintmark of the West Point Mint. 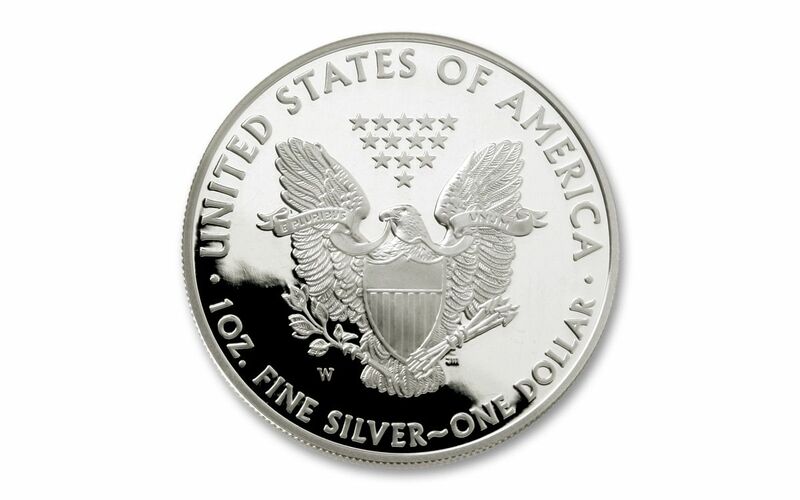 U.S. LEGAL TENDER – Each 1995 Silver Eagle bullion coin is one dollar United States of America legal tender, as seen on the coin's reverse. GRADED IN NEAR-PERFECT PROOF CONDITION – Your 1996 American Silver Eagle has been graded by the Numismatic Guaranty Corporation (NGC) to be in near-perfect Proof-69 Ultra Cameo (PF69UC) condition, a distinction that means your almost-flawless proof will showcase an impressive full strike and indistinguishable imperfections – well above and beyond the quality of the vast majority of coins in the series. ONE OF THE GREATEST MODERN U.S. COINS – The Professional Coin Grading Service (PCGS) currently lists the 1995-W Silver Eagle as #13 on its list of 100 Greatest U.S. Modern Coins due to its low mintage and for being the first Silver Eagle to bear the “W” mintmark.